Launceston College students will be running a charity gift stall on Saturday 8th December at the Market House Arcade. They will be selling African drums & jewellery as well as sponsorships for text books, porridge and shares in a pig! 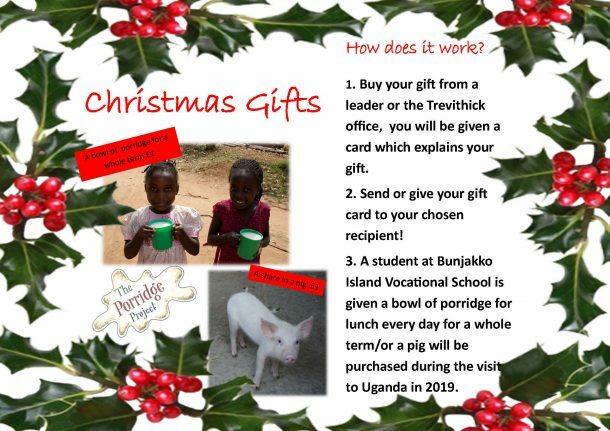 All money raised will support the education of students in their partner school: Bunjakko Island Vocational School, Uganda. Please come along and support us, Father Christmas will also be making an appearance from 11-2pm.